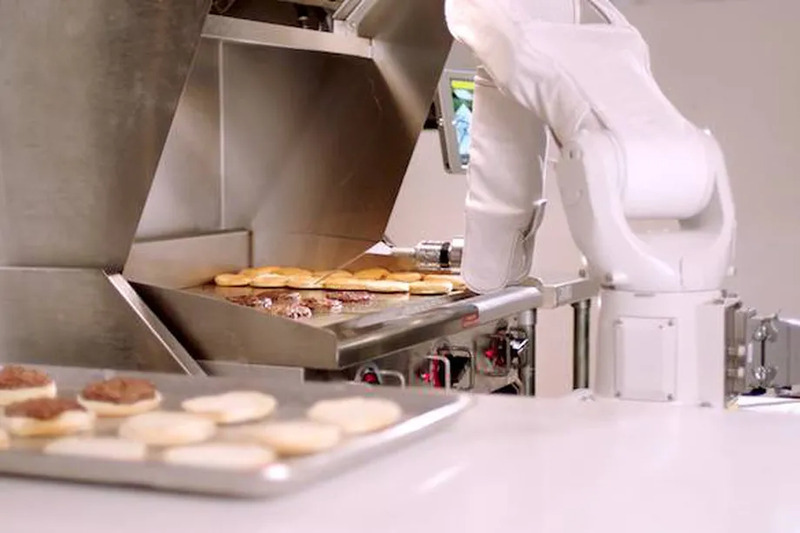 King County, Washington, has become one of America’s major technology hubs. Large companies such as Microsoft, Amazon, and Google have major offices there, and hundreds of smaller technology companies have started up in the greater Seattle area. 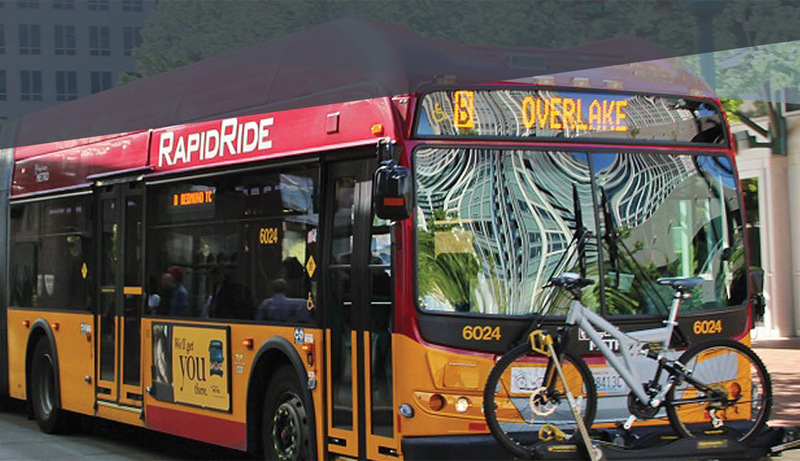 With so many hi-tech employees using public transportation, King County decided that it could serve its ridership better by providing WiFi access on its RapidRide commuter bus lines. 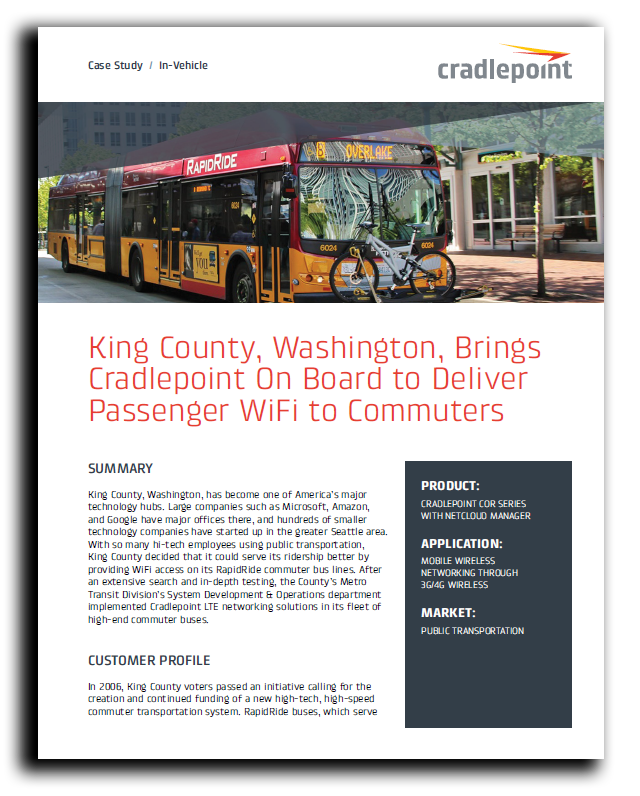 After an extensive search and in-depth testing, the County’s Metro Transit Division’s System Development & Operations department implemented Cradlepoint LTE networking solutions in its fleet of high-end commuter buses.